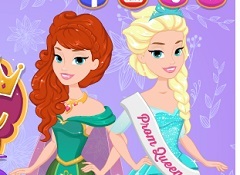 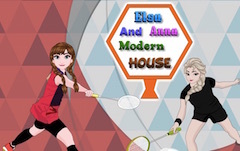 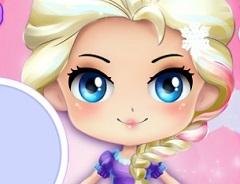 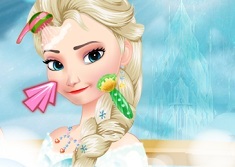 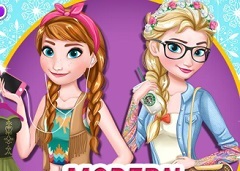 Apparently, we are not done with today's new games within the Frozen category, girls, because we know how much you love pretty queen Elsa, we thought we should really bring you this new game with her, a game in which you will have the possibility to see her in a posture you have never seen her until now, as a Modern Queen. 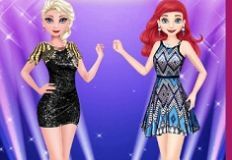 Elsa thought it's time to do some changes for herself, as she really feels that it's time to do some changes in her life, that's why she wants you girls to help her with the makeover. 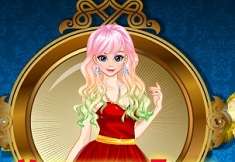 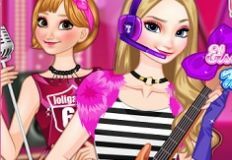 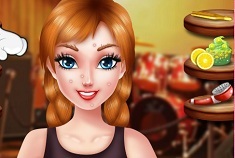 What you girls are going to do today, in this new amazing game, is to prepare her for her new looks. 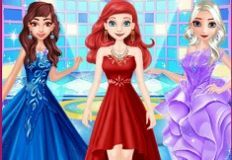 Wash her properly, clean her face of impurities and then, when she's prepared, let's see what makeup should we choose for her and what outfit, that truly matches her and her personality. 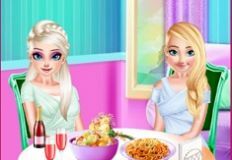 Have lots of fun today, girls!